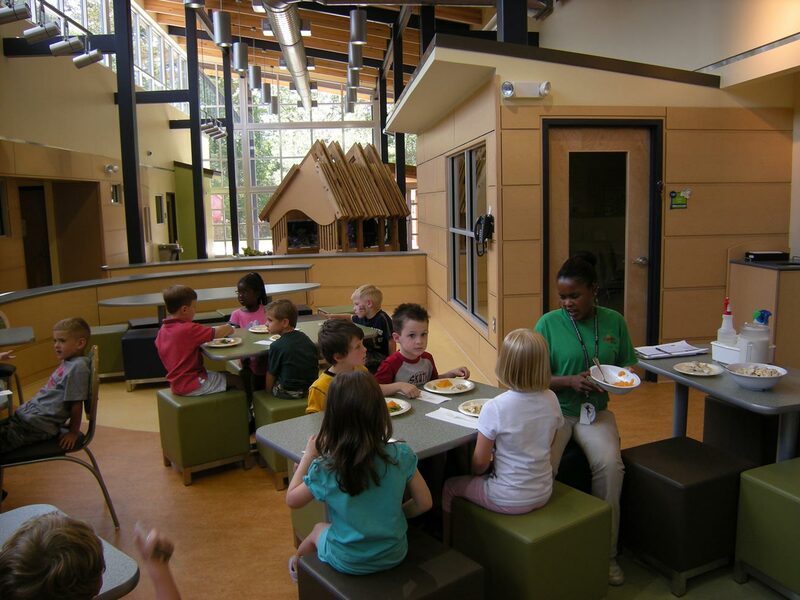 Chick-fil-A’s Jeanette Cathy Children’s Center in Atlanta, Georgia is a workplace-sponsored childcare center for 100 infant, toddler and two-year-olds. 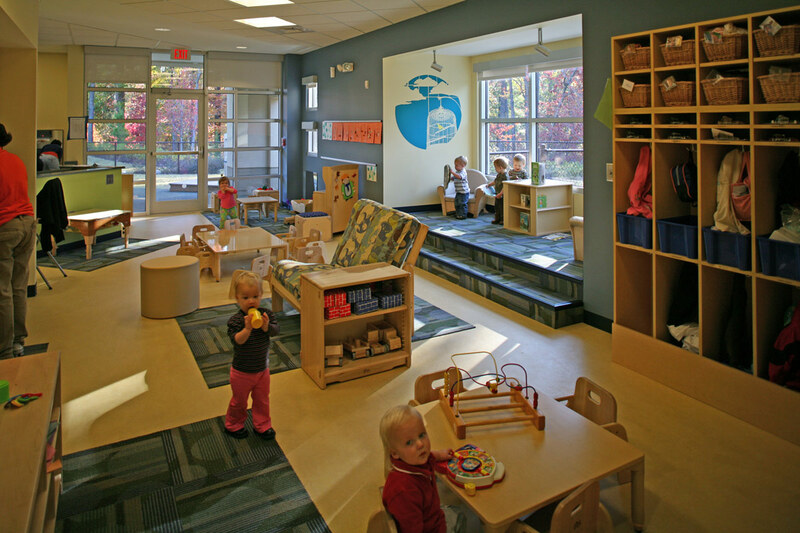 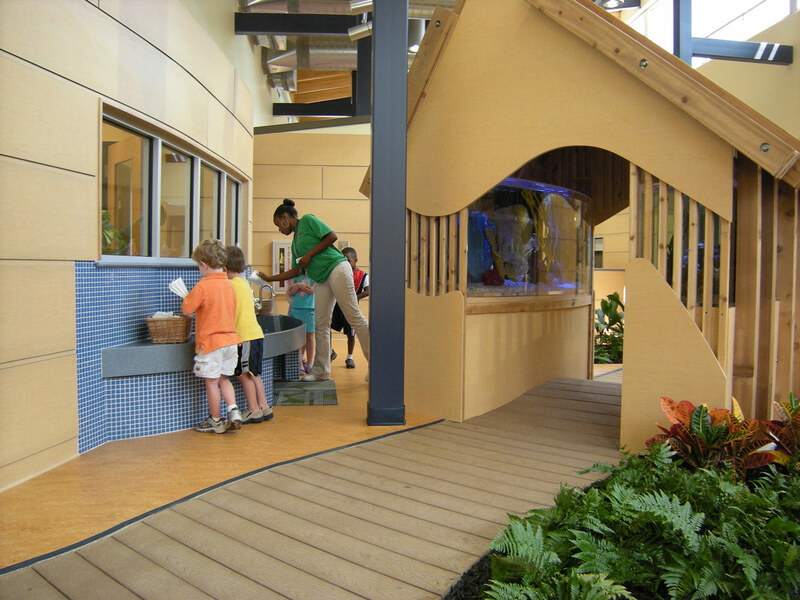 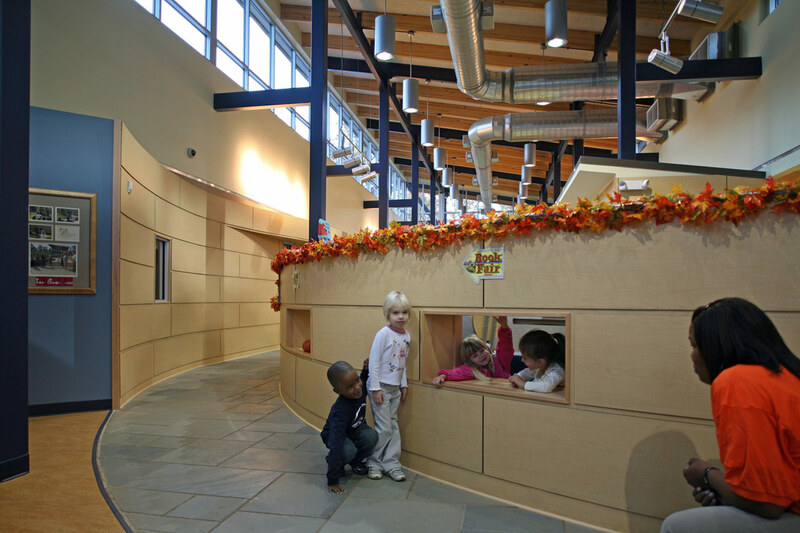 The center is designed with children’s classroom space situated around a large central atrium space accommodating a central dining area, children’s project room, aquarium and water-play area. 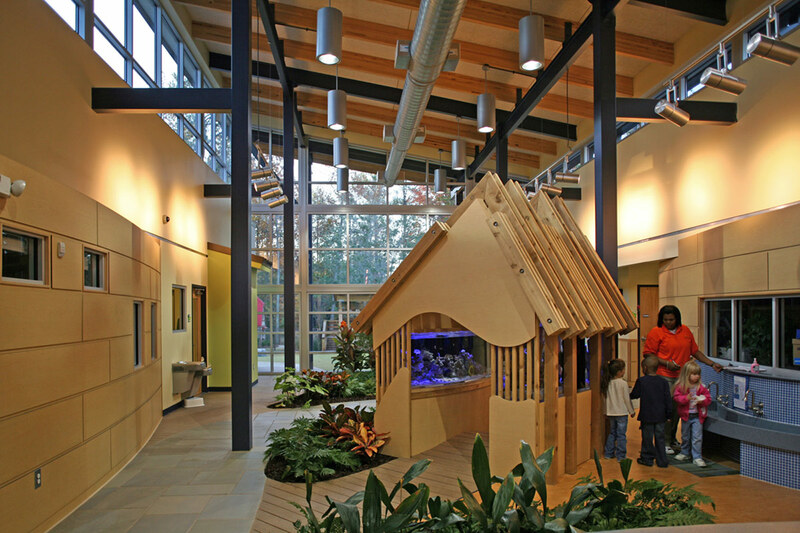 The atrium space, which incorporates natural planting areas and stone paths, is designed to feel like an extension of the natural playgrounds located around three sides of the building. 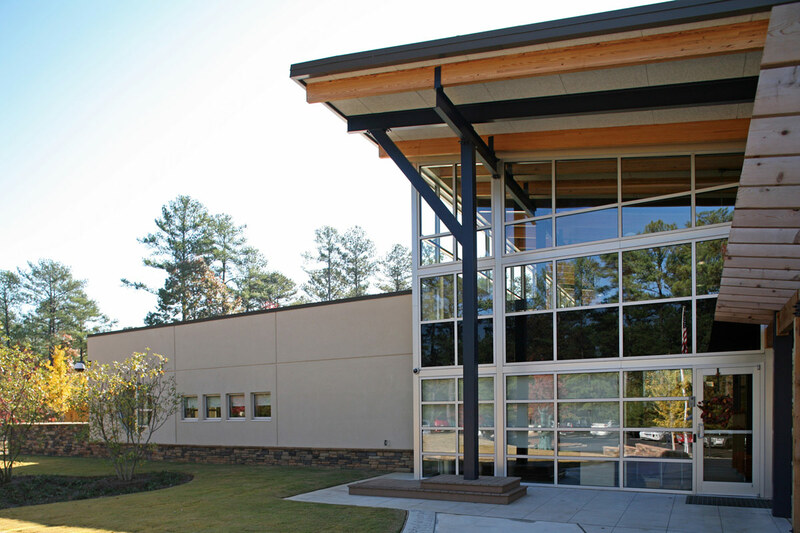 The center totals 12,000 square feet and is located on a wooded site on the campus of Chick-fil-A’s corporate headquarters. 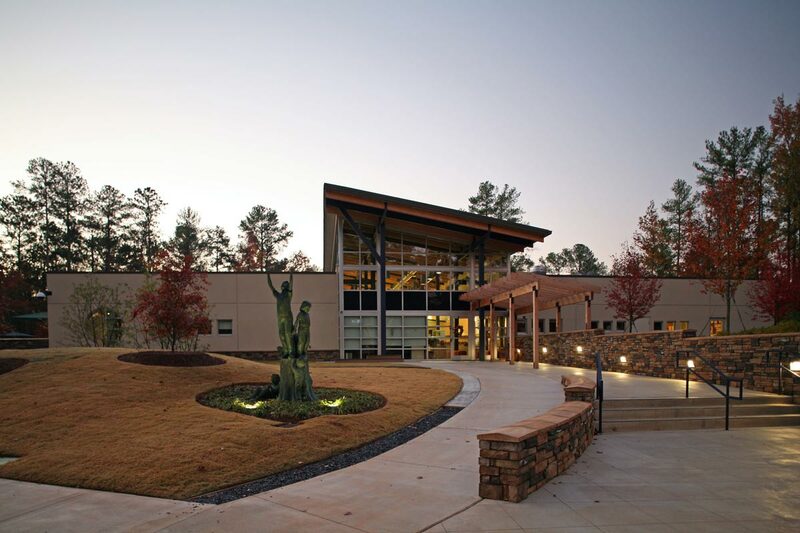 Horizons Design was responsible for working with Chick-fil-A on the conceptual design for the center and worked together with a local architect to complete construction documents and construction administration.